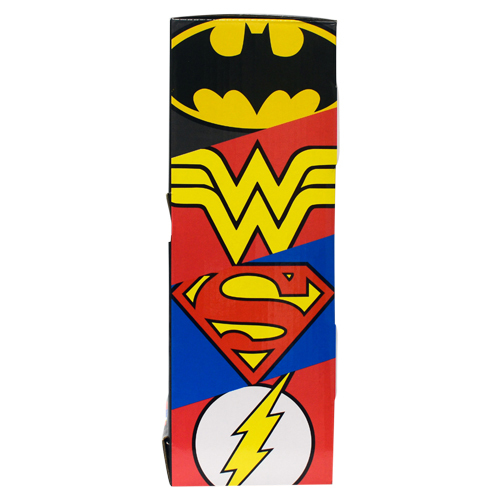 Home / Products by License / DC Comics / DC Comics™ 2-Tier Power Wing 2/40 ct.
Power up your sales and their taste buds! INGREDIENTS: GLUCOSE SYRUP, WATER, CITRIC ACID, MALIC ACID, ARTIFICIAL FLAVORS, SODIUM BENZOATE AND POTASSIUM SORBATE AS PRESERVATIVES, ARTIFICIAL COLORS (Blue 1, Red 40, Yellow 5). 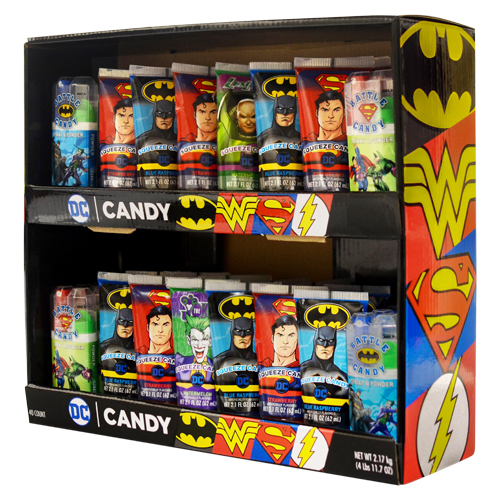 SPRAY CANDY INGREDIENTS: HIGH FRUCTOSE CORN SYRUP, WATER, CITRIC ACID, MALIC ACID, ARTIFICIAL FLAVORS, POTASSIUM SORBATE AS PRESERVATIVE. POWDER CANDY INGREDIENTS: SUGAR, CITRIC ACID, ARTIFICIAL FLAVOR, MALIC ACID, MAGNESIUM STEARATE, ARTIFICIAL COLORS (BLUE 1, YELLOW 5).